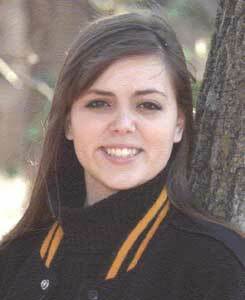 Cops in Kansas say Kelsey Smith was last seenÂ at 7:09 p.m on Saturday June 2. She was leaving a Target store across from Oak Park Mall, where she had purchased a scrapbook and some wrapping paper.She was supposed to go home, but something interrupted her journey.Two hours later surveillance video caught somebody parkingÂ Kelsey’sÂ car, a silver, 1987 twoÂ -door Buick Regal,Â at the mall right outside Macy’s. When cops searched the car they found the items Kelsey had purchased and her purse, but her cell phone and ATM car were missing.Cops at the Overland Park P.D. are following every lead to find Kelsey. They fear she is in danger and are asking for the public’s help to identify the mysterious person, who parked Kelsey’sÂ car. 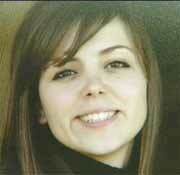 They believe this person may be the key to finding Kelsey. Last seen wearing pink tank top, black cotton shorts with tennis shoes near 97th and Quivira road in Lenexa, Kansas. OVERLAND PARK, Kan. — The family of 18-year-old Kelsey Smith was grateful Monday aftternoon for the amount of people who came to help search for the girl who was last seen Satruday.SmithÂ disappeared after a trip to the Target on 97th and QuiviraÂ near Oak Park Mall. HerÂ friends and family made hundreds of flyers to hand out, hoping to find someone who knows something about her disappearance. VolunteersÂ came to the Target Monday at 2:00 p.m. to help pass out those flyers and search for her.Fighting back tears, her sister, Stevie Hockersmith, pleaded with anyone who knows anything about Smith’s disappearance to come forward. “I just want my sister back,” she said. The reward for information has been doubled by a local company and now totals $10,000. On Sunday night, police investigated the spot in the Macy’s parking lot at Oak Park Mall where Smith’s car was found. SheÂ was last seen around 7 p.m. Saturday night leaving the Target across from the mall. She was supposed to be on her way home to meet her boyfriend before going to a graduation party. Smith is 5′ 6″, 120 pounds, with long brown hair and brown eyes. She was last seen wearing a pink tank top and black shorts. 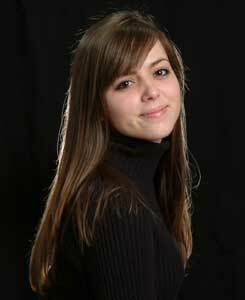 If you have information about Kelsey Smith’s disappearance, call the Tips hotline at 816-474-TIPS. Thanks for the prayers Tim, a horrible murder like this wounds a whole community for a part of us is gone forever; it tears at my heart too. I’m an aetheist so for me to pray would be false, but I do encourage folks of faith to leave a prayer here, prayer helps heal wounds. im so sorry…i feel so bad….i wanted to send al lmy prayers to kelsey’s family.! R.I.P Kelsey…..i didnt know u but my heart goes out to u…u are an angel…i wish ur family the best!! The Kelsey Smith incident inspires me to propose that the male population, for the sake of social order, be required to face the discipline and close supervision afforded by universal, compulsory military service. Bring back the draft! Other nations do this, and it is part of our history as well. This young man who murdered her should have been residing in a barrack, or the brig! I hear you Leslie, but after reading some more background on the subject, I think he should be residing below ground.